More than 150 people attended an event to celebrate the launch of Brewin Dolphin’s Truro office last week. 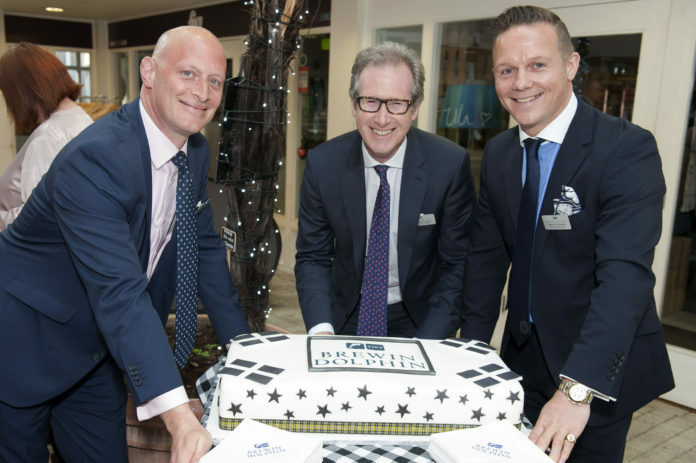 Held in Lemon Street Market, guests travelled from all over Cornwall and as far afield as London and Dublin to welcome the return of the UK wealth management company. Greeted with drinks, canapes and a specially-made Cornish-flagged cake provided by The Little Cake Shop in Newquay, clients and Brewin Dolphin staff mingled and chatted before listening to short speeches from divisional director, Darryn Richards, and regional director, Hal Catherwood. “We’re delighted to have opened our new offices in 24 Lemon Street,” said Richards, who lives in Redruth and has been an investment manager for more than 23 years.